“Poskitt team & Co” is a group of friends who have been helping children in Kenya for a long time! Many of us work together in M.H Poskitt Ltd. but our friends and acquaintances helped us in implementing our initiatives. We invite everyone who has a big heart, wants to do something good and help the poor. – We helped St. Nicholas to buy and deliver Christmas gifts for children. 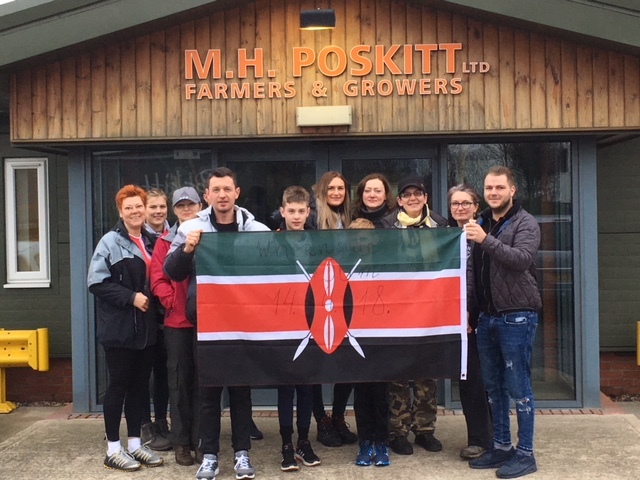 – One of the people from “Poskitt team & Co” from Kenya brought a lot of beautiful things and souvenirs from the sale of which we bought a camel for the mission of the Orionine Sisters. – 14/04/2018 We gained the peak of Whernside 736m and supported the fundraising for the construction of “School on the savannah”. • July Ben Nevis 1344m get three peaks and collect money to help Samburu! We will answer and provide information! Welcome!